This Retreatment Botanics Radiance Cream Cleanser is a calming, nurturing facial cleanser designed to gently yet effectively remove excess oil, environmental pollution, makeup and impurities. 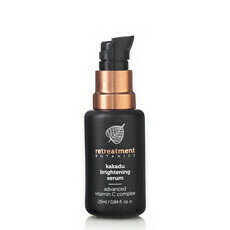 It is ideal for normal to dry, dehydrated and mature complexions, and leaves skin feeling clarified, smooth and soft. 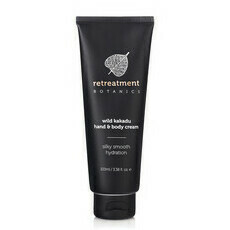 Made with natural and organic ingredients, including cooling, hydrating Aloe Vera Leaf Juice, antioxidant-rich Kakadu Plum Extract, rejuvenating Seabuckthorn Oil and moisturising Macadamia Nut and Coconut Oils, this luxurious formula deeply cleanses and soothes dry skin to leave it looking fresh and radiant. 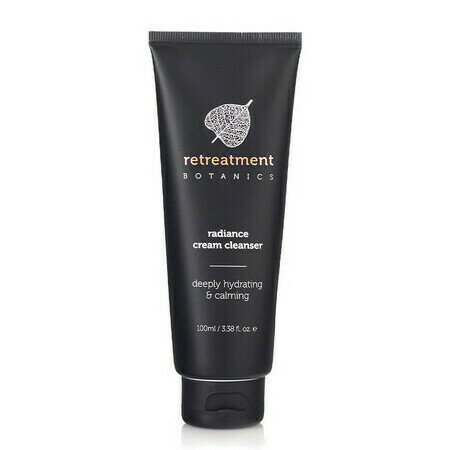 Retreatment Botanics skincare is a range of pure performance products, developed by Olivia Newton-John and her team of top skin experts and scientists, for guests to enjoy at her internationally recognised and multi-award winning Gaia Retreat & Spa, located in the beautiful hinterland of Byron Bay. Retreatment Botanics utilises Cellular Extraction™ technology and Cellular Biomimicry™ to include the powerful benefits of Australian native extracts in its advanced formulas. Aloe Vera, Camellia oil, Chamomile, Coconut Oil, Kakadu Plum, Macadamia Oil, Sea Buckthorn, Sunflower Oil, Vitamin E.
Step 1: Apply a small amount of product to moistened skin using gentle circular motions. Step 2: Rinse with warm water and pat dry with a soft face cloth. Step 3: Follow up with the Retreatment Botanics serum and moisturiser of your choice. 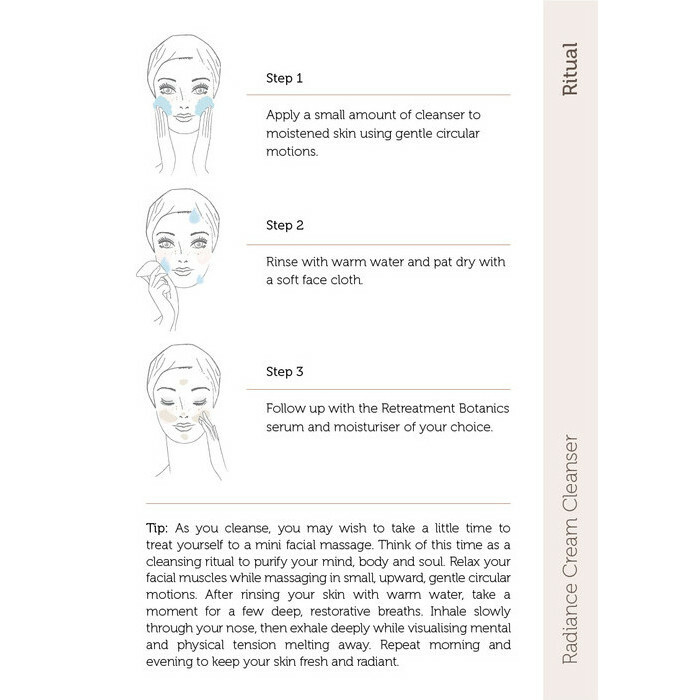 Tip: As you cleanse, you may wish to take a little time to treat yourself to a mini facial massage. Think of this time as a cleansing ritual to purify your mind, body and soul. Relax the muscles in your face while working in small, upward, gentle circular motions. After rinsing skin with warm water, take a moment for a few deep, restorative breaths. Inhale slowly through your nose, then exhale deeply while visualising mental and physical tension melting away. Repeat morning and evening to keep skin cleansed and clarified. Smells wonderful, lathers well and it doesn't hurt my sensitive skin. It even removes my eye makeup.